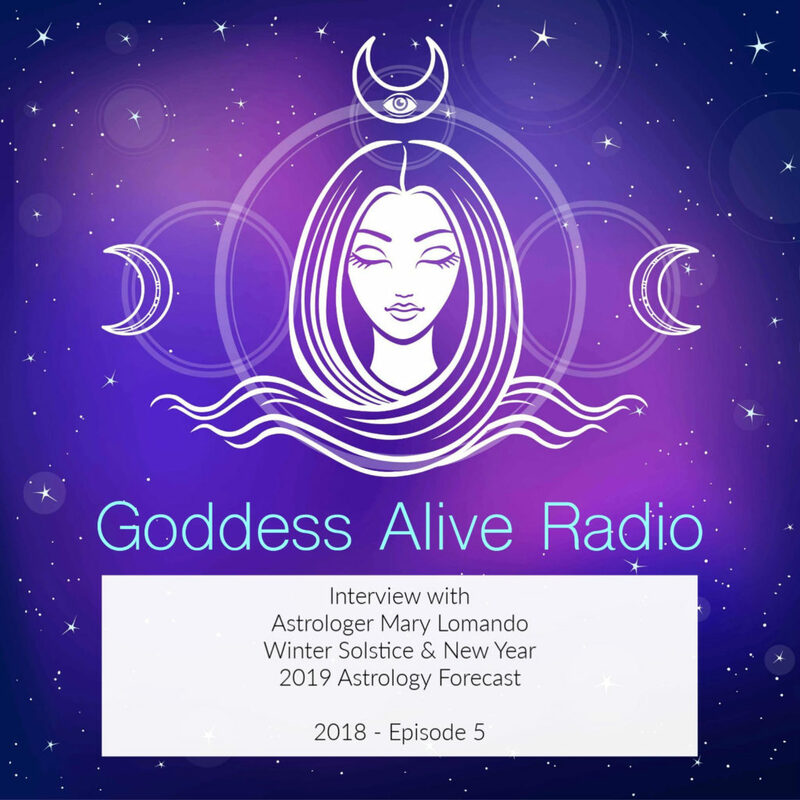 This Goddess Alive Radio Podcast episode is everything that you need to navigate the upcoming energies for 2019 which includes a very early eclipse season beginning with the New Moon on January 5, 2019. Thankfully, we have the always awesome Mary Lomando to give us the astrology updates and forecast for Winter Solstice 2018, the Full Moon of December, AND the Solar and Lunar Eclipses in January. Mary discusses the astrology and impact of the eclipses, as well as how to navigate the intense energies. Tune in for a cosmic podcast! HOLIDAY ASTROLOGY SPECIAL: 2 Readings for $150. Gift a New Year reading for yourself and another. Learn how January 2019 Solar & Lunar Eclipses will affect your chart. Must be purchased by 12/20; readings scheduled before 3/1/2019.